The outside area of Daddy-O's has undergone a MAJOR remodel - so it's time for us to show it off! 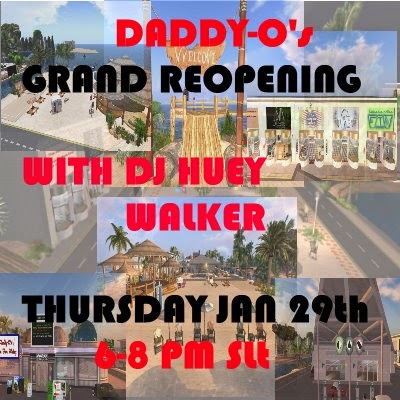 Who better to reopen it with than DJ Huey Walker and his lovely hostess Krissy Walker. Join us as they take the stage outside in the remodeled area. It will be a great night of music, fun and of course your chance to see the NEW DADDY-O's! Grab your significant other, your friends or just come alone and meet new friends at Daddy-O's. Daddy-O's...Where fun RULEZ!